WaterfallNow was referred to create several indoor and outdoor water features to enhance the patio and entrance areas. 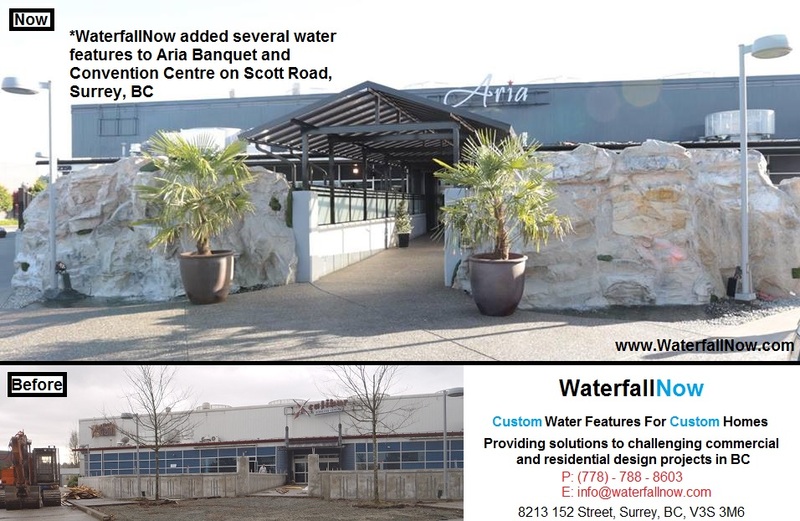 In support of the mission to make the downtown core of Surrey a more developed and attractive place to live, WaterfallNow was contracted to build several custom rock water features. How a building looks on the outside is very important to how it is perceived. What WaterfallNow intended for Aria was to do the best we could within the budget to create something unique and interesting. By providing exceptional value for the location, we were able to give the largest banquet hall hall in Surrey a unique look that will be remembered for many years to come. 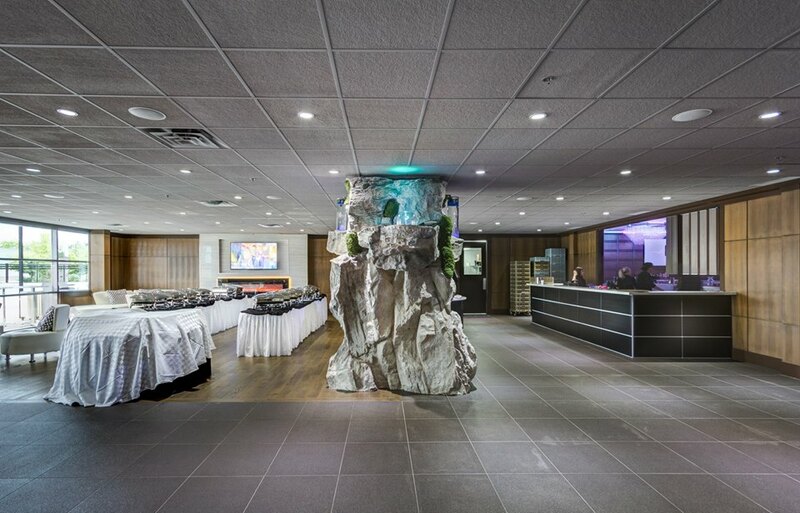 WaterfallNow has the experience to create virtually any style of custom hand-made rock waterfall feature. Simply let us know what you have in mind and we can take care of the rest. 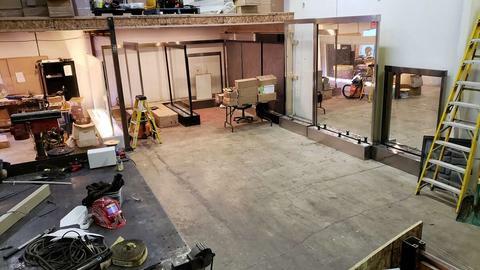 State of the art lighting systems. Fully customize each venue to suit your tastes.